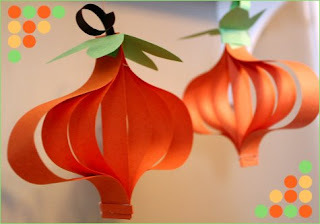 Came across this cute kid friendly Halloween craft from three wheels turning, a paper and design company. Now these were the types of projects I was making when I was in elementary school. Maybe that's why I love them so much.